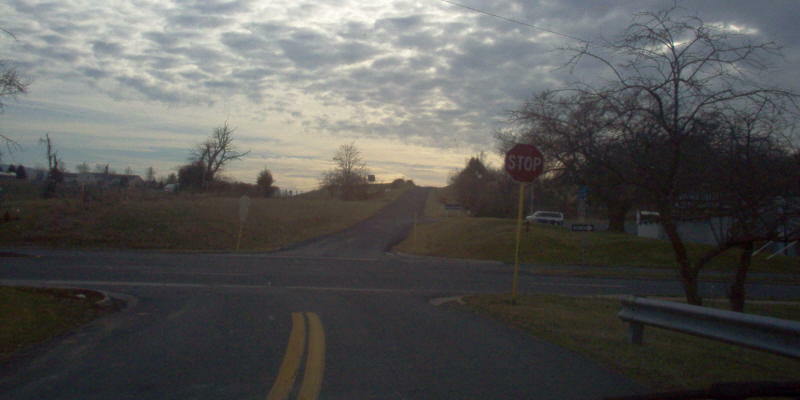 Looking west along VA 211. This is the only full-size VA 305 shield. Photo by Mapmikey, taken February 1, 2006. Heading up VA 305 northbound. This was a cutout until the late 90s or so. Photo by Mapmikey, taken February 1, 2006. Looking at VA 211. Photo by Mapmikey, taken February 1, 2006. 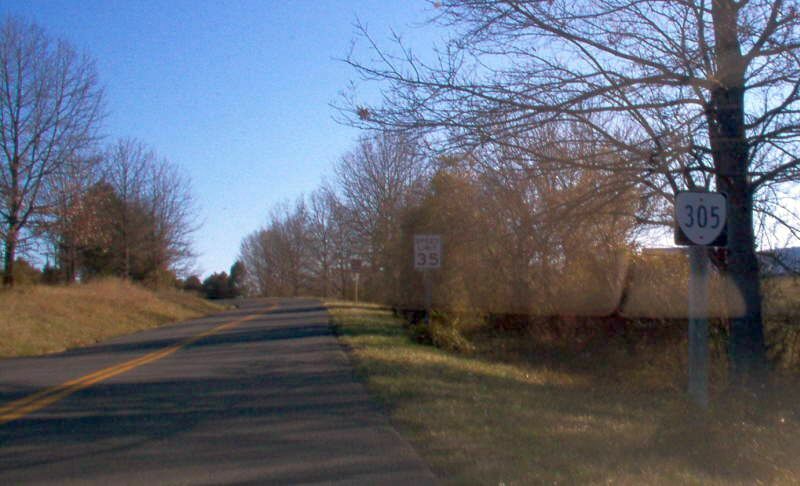 Looking along VA 211 eastbound just before I-81. 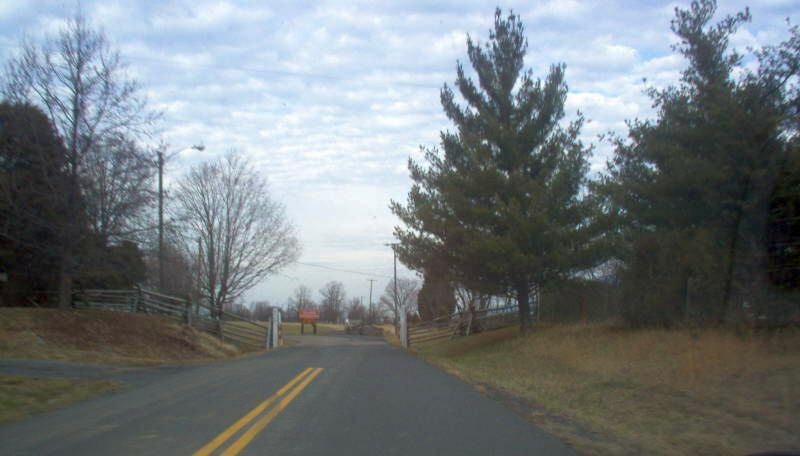 This picture also shows the endpoints of US 211 and VA 211. Photo by Mapmikey, taken February 1, 2006. 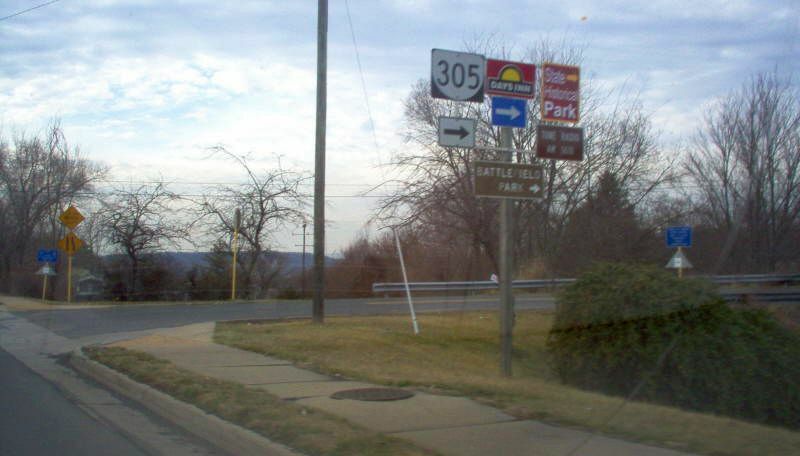 At the north end of VA 305, at the Battlefield Park. Photo by Mapmikey, taken February 1, 2006. Heading down VA 305 southbound. This was also a cutout until the late 90s or so. 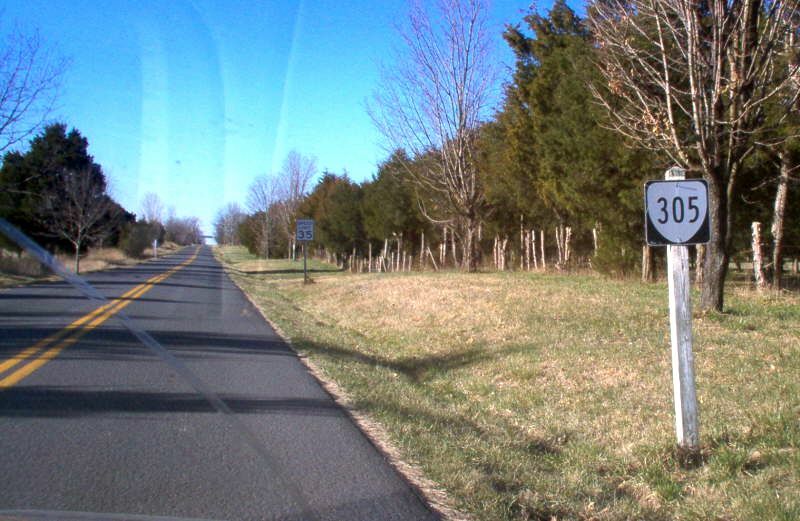 VA 305 is essentially a frontage road to I-81 SB. Photo by Mapmikey, taken February 1, 2006.